Predictive Maintenance is an increasingly popular strategy associated with Industry 4.0; it uses advanced analytics and machine learning to optimize machine costs and output (see Google Trends plot below). 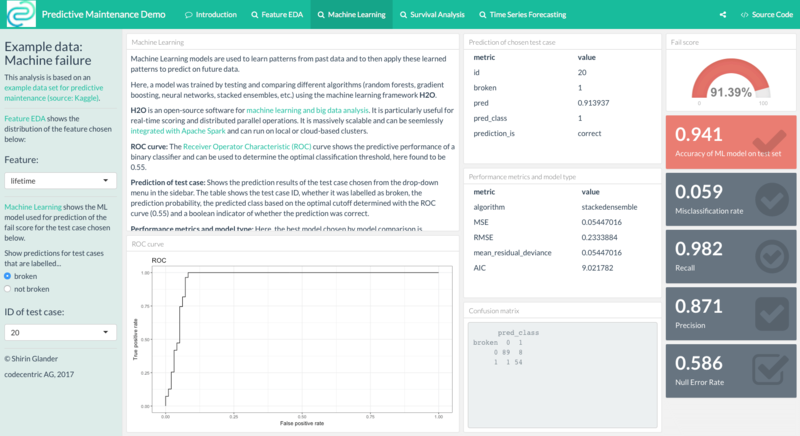 A common use-case for Predictive Maintenance is to proactively monitor machines, so as to predict when a check-up is needed to reduce failure and maximize performance. In contrast to traditional maintenance, where each machine has to undergo regular routine check-ups, Predictive Maintenance can save costs and reduce downtime. A machine learning approach to such a problem would be to analyze machine failure over time to train a supervised classification model that predicts failure. Data from sensors and weather information is often used as features in modeling.